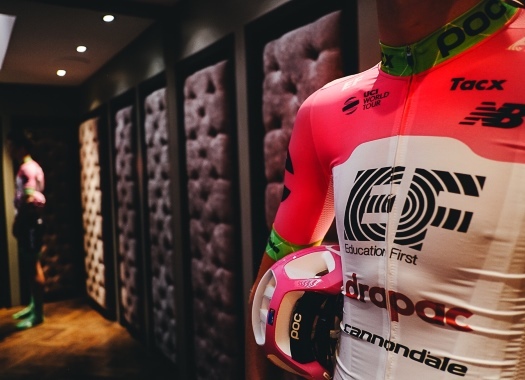 Team EF Education First = Drapac P/B Cannondale has set high ambitions for the upcoming Volta a Catalunya. The WorldTour formation aims for a podium spot and has selected a strong line-up in order to try and meet this goal. Tour de France runner-up Rigoberto Uran will take part, as well as Michael Woods and Pierre Rolland. "Catalunya has the pace of a one-week race over terrain that you’d typically find in the final week of a grand tour," said Woods. "In the third week of a grand tour the courses are often extremely challenging; however, by this time the top 10 or so riders have established themselves, and there is a bit more civility in the peloton - guys are more focused on surviving as opposed to attacking. "There is no civility in Catalunya. It’s aggressive racing from the gun to tape." Sports director Juan Manuel Garate added that the team will have multiple ways of approaching this race. "Catalunya is on our way to the Ardennes Classics, of course, but it’s also a goal in itself. With two uphill finishes and no time trials, it looks like a race for the climbers, and we have a team full of them. We want to win one stage and be on the final podium."